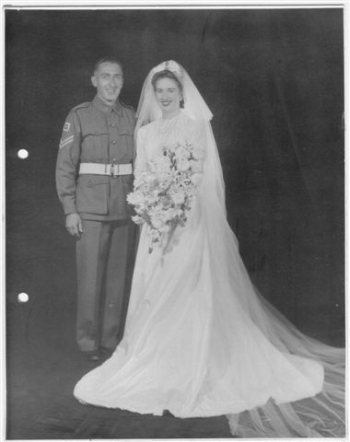 OZIGEN - Australian Genealogy - Stanley Norman Fletcher and Ellen Elkin Begg in 1944. Photograph provided by Anne Young. Stanley Norman Fletcher and Ellen Elkin Begg in 1944. Photograph provided by Anne Young.